Charles A. Proctor worked constantly over many years to develop and maintain equitable competitive rules and scoring techniques in intercollegiate skiing. His support and encouragement for the Dartmouth Outing Club impacted skiing across the United States through its many skiing alumni. Charles A. Proctor was born on September 15, 1878 in Columbia, Missouri and he was raised there. Later he moved to Hanover, New Hampshire to accept a teaching position as a professor of physics at Dartmouth College. He was considered the guardian angel and patron saint of the Dartmouth Outing Club for years. Proctor was its faculty advisor and chairman of the board of directors. His leadership helped establish intercollegiate skiing competition in the Eastern United States and Canada. The first intercollegiate event was a relay race between McGill University and Dartmouth College in 1913. Proctor’s effectiveness was apparent in the activities of the many Dartmouth alumni who subsequently became officials of organized skiing, area managers of far-flung ski operations and ardent participants in as well as supporters of the sport. Perhaps because of the emphasis Proctor placed on intercollegiate sports, his activities parallel the history of organized skiing (both alpine and nordic) in this country. His early research into the dynamics of ski jump flight left its mark on F.I.S. jumping, affecting both jump design and competition and stimulated the sport’s beginnings in the Eastern United States. His association with Sir Arnold Lunn of Great Britain was responsible for the introduction of slalom skiing in North America. His enthusiasm launched the first national downhill race in 1933 and the first slalom race in 1935, both of which were sponsored by the Dartmouth Outing Club. He was a supporter of the American ski teams at the 1924 Winter Olympics in Chamonix, France and the 1928 Winter Olympics in St. Moritz, Switzerland. 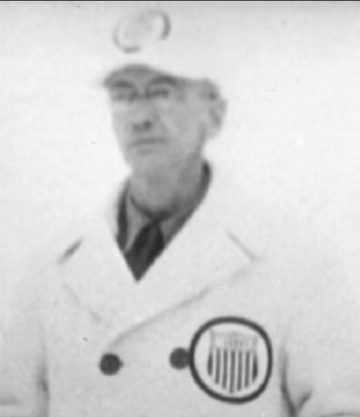 He was also an active organizer and official at the 1932 Games in Lake Placid, New York. Charles A. Proctor was elected to the U.S. National Ski Hall of Fame in 1966. His son, Charles N. Proctor, is also on the Honor Role for his skiing contributions. If you notice any errors or inconsistencies in Charles A. Proctor's bio, click here to let us know.